Olives are highly rich in oil; hence they have been regarded for ages as one of the top sources of healthy oil. Amongst others, the most popular types of olive oil are virgin, pure, and extra virgin. 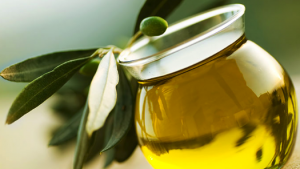 Besides other numerous benefits, extra virgin olive oil goes hand in hand with weight control. As the name implies, Extra Virgin Oil is extracted from olives. It is cold pressed- it is done without heat or chemicals. Oil derived from this method accounts for about 10% of all the oil in existence; it is also the best to use. Extra virgin oil has better quality than virgin olive oil which is produced from the second pressing of the olives. The pure olive oil is a mixture of virgin and refined oils – this is not recommended for use. For more information about what makes olive oil extra virgin, please visit the page! Weight loss is but one of the numerous benefits of extra virgin Olive Oil. Those from the Mediterranean countries are conversant with the health benefits and a nice flavor that it brings when added to pasta, salads and other meals. It contains unique compounds that help you lose weight and increase the quality of your life. Besides, it boosts fat oxidation, which means the higher your intake, the more it burns your body fat. Extra Virgin Olive oil should be integrated into any effective weight loss plan for the best result. One notable attribute of the extra virgin oil is that it can be used in its natural form without any refining. Using it in this state preserves the fatty acids, vitamins, all nutrients, and antioxidants. Its high level of antioxidants may decrease LDL cholesterol oxidation, which fights against diseases. The high oxidants make it more reliable, increasing its shelve life and adding a sweet flavor. To know more about how to use olive oil for face glow, please visit the page! Anti-oxidants are vital components when handling blood sugar level, reducing inflammation and related health conditions. Due to the presence of vitamin E, natural antioxidants, and polyphenols, the extra virgin oil shields the body against severe damage. Nutritional scientists have revealed that weight gain could lead to inflammation of some cells in the arteries. Such inflammation reduces blood sugar metabolism and boosts fat storage. However, the presence of the antioxidants helps curb this inflammation. Research also reveals that these antioxidants may contribute to reducing blood pressure and minimize the chances of breast cancer. Mediterranean diets- which may not be regarded as diets- are gaining momentum among people who are health conscious and appreciate a healthy lifestyle. The crave for Mediterranean dieting sprung up when scientists discovered that the Greeks have a minimal rate of heart-related diseases and they had high expectancy rate compared to other geographical areas. The Mediterranean diet is a typical example of blending weight control and extra virgin olive oil – This is an exceptional approach to healthy eating that will reveal some tasty and healthy food options for healthier living. Conscious healthy meals are the key to lose some pounds and maintain a healthy well-being.